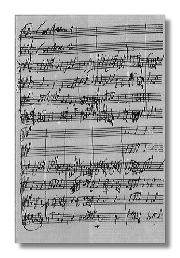 Jan Dismas Zelenka (October 16, 1679 - December 23, 1745) was a Bohemian composer, primarily associated with the court at Dresden. His early education was in Prague, and his first employment was as a double bass player. As a composer, Zelenka was a late bloomer. He did not begin composing major works until his late thirties. In 1716 and 1717 he traveled first to Vienna to study with J.J. Fux, and then to Italy to study with Antonio Lotti. Upon his return his duties expanded, and in 1729 he succeeded Johann David Heinichen as director of church music. In 1733 he received the title of court composer. Zelenka's output consists primarily of sacred works, including dozens of masses, motets, etc. It has only been relative recently that interest in Zelenka's music has increased, and his many of his works have been performed and recorded.